Google My Business allows businesses that “serve customers at the customers location” to select a service area radius on their Google business listing. This service area radius defines how far you provide that service from your business location. Typically a service area business works within a 50 mile radius, and some may even serve up to 100 miles. However you also get businesses that provide a service that is delivered to the customer online (online marketing, copywriters, consulting etc) and they reason that they can serve the entire world / country, so they select the full service area radius of 620 miles, some even arrive at the Google My Business Help Forum and ask why they cannot select the entire country?, well this post will explain why setting your service area radius over 50 miles is a pointless exercise. Setting the maximum service area radius frankly looks ridiculous to a user and your potential customers. The overriding factor (that we know about) that makes setting the service area radius over 50 miles, pointless, is the distance factor. So Google will display businesses that are closest to the searcher and works outwards. Lets say you are PIN A (Google knows your address) and someone located in location B searches for a certain type of service. Google returns the closest businesses that provides that service. Hopefully this very basic explanation should demonstrate why you wont be appearing in search results 100 miles, let alone 600 miles away. So What Should I Set My Radius At? Google My Business is about returning local business and services to a local searcher, or if they qualify another area with the search query (in, near, downtown) and the location. With this in mind, I would not select over 50 miles. If for some reason your business is in the outback and the next plumber is 120 miles away, then by all means set this radius, but for a typical business Google will have enough local business to satisfy the users query without searching further then a 50 mile radius. 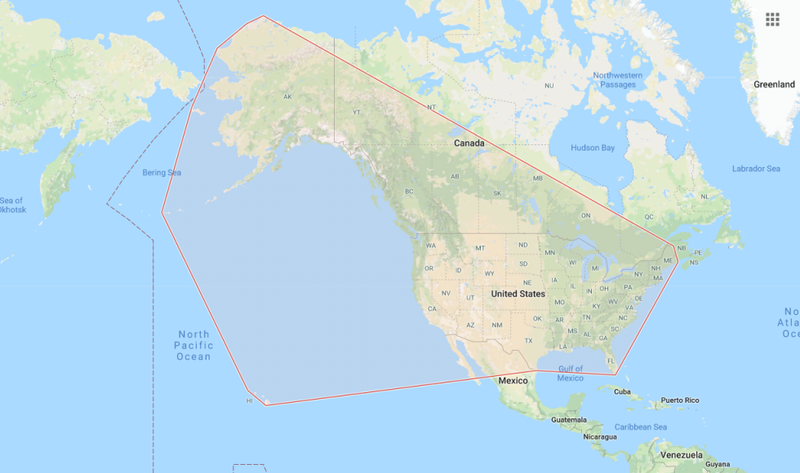 If you are one of those “but i serve worldwide businesses” then I would either select a 50 mile radius or select the city, possible state in which you reside. If you want to dive into some interesting distance result within the 3 pack then check out this RankRanger Article.